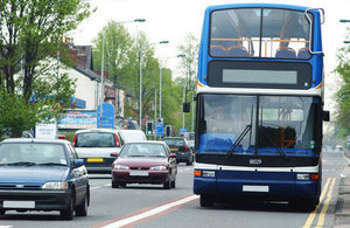 A Conservative metro mayor has promised that a review of local bus services will fully explore franchising after a plea from ministers for councils to consider using the new powers in the Bus Services Act. Cambridgeshire and Peterborough Combined Authority Board has agreed to provide £150,000 towards a review of bus provision across the area, which could lead to franchising. Mayor James Palmer said: ‘I'm fully aware that many people across Cambridgeshire and Peterborough are not satisfied with the current provision so the review will provide a valuable opportunity for us to consider how things might be done differently. ‘The 2017 Bus Services Act enables mayoral combined authorities to consider franchising as a potential option for bus service provision. This is something that will be fully explored by the strategic review. In a statement, the authority said it is envisaged that the review will provide a menu of potential options, ‘recognising that different areas of the combined authority may require different solutions’. At present, only mayoral combined authorities have the automatic right to bring in franchising, while others must apply to the transport secretary for clearance covering their category of authority. Other powers cover ticketing and an enhanced partnership and advanced quality partnerships. This week the DfT published a number of guidance documents for local authorities on the Act, which received royal assent seven months ago. A Department for Transport (DfT) spokesperson told Transport Network that the department could provide ‘no information’ on which authorities were applying for the right to introduce franchising.